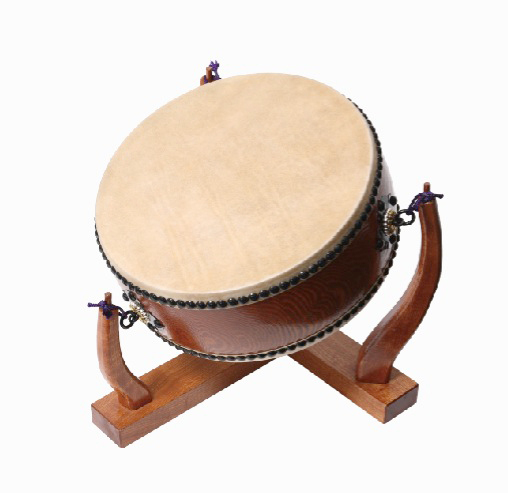 Appropriately named after its short and flat body, Hira Daiko (meaning "flat drum") is manufactured in the same way as Nagadou Daiko, When compared to a Nagadou Daiko of the same diameter, a Hira Daiko produces a lighter and higher sound. 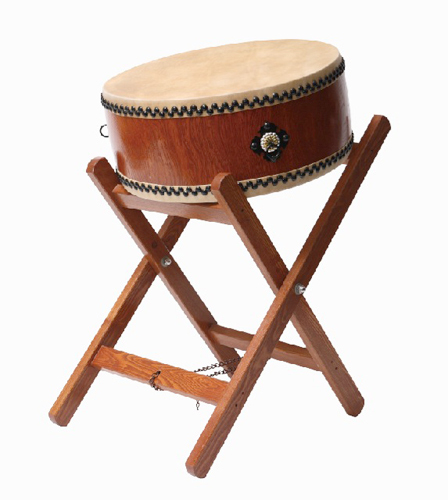 For this reason, it is often used alongside Shime Daiko for ohayashi (festival accompaniment). 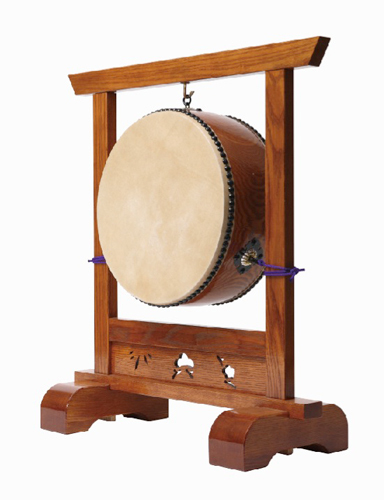 Gaku Daiko, used for gagaku performances, is an ornately decorated version of the Hira Daiko. 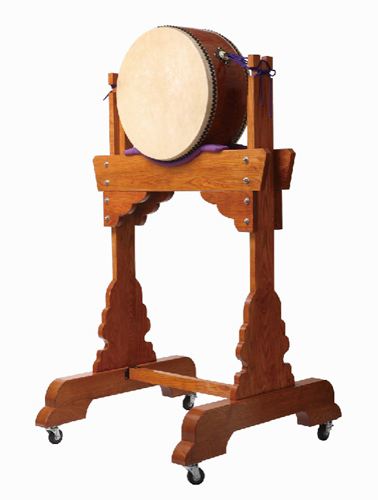 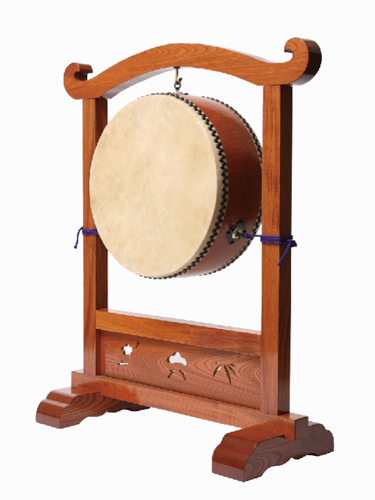 A variety of stands are available for Hira Daiko, providing for a diversity in performance.